Hey Guys! Today I wanted to share a quick Face of the Day with you. This is what I wore to work yesterday. I usually try to go pretty light and natural with my makeup when I go to work. 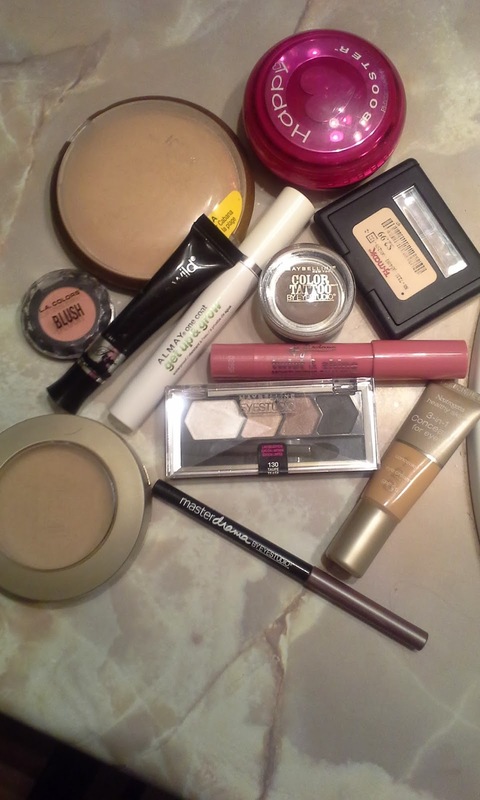 I started with my Milani Multi-tasker (I am in the color tan). I used my Neutrogena 3-in-1 concealer under my eyes. I used my Happy Booster Bronzing Veil to add a little bit of color to my face. I used my LA Colors Glow blush and highlighted with Wet N Wild Reserve Your Cabana. For my eyes I primed with the Fergie Take on the Day primer and did my brows with my ELF eye brow kit in light. As a base color I used my Maybelline color tattoo in Tough as Taupe. I used my new Taupe Tease Quad from Maybelline. I did the second color all over the lid, the third in the crease, the fourth to line and deepen the out v and then the lightest color to highlight my brow bone and inner corner. 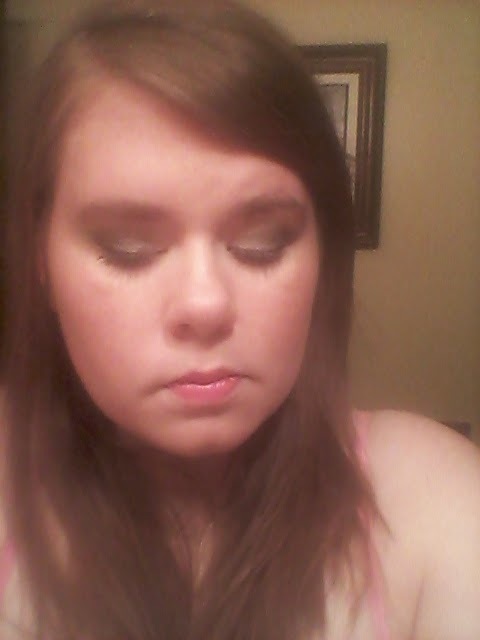 Then I lined the bottom lash line with my Maybelline Master Drama liner in Taupe Takeover. For mascara I used my Almay One Coat Get up and Grow mascara. For lips I used the Jordana balm stain in Sweet Pink.